The nursing pillow filled with EPS beads has a cotton cover. The cover is washable at 60°, the interior pillow at 40°, both are dryer-proof. The specially designed filling adapts perfectly to the body, is low in noise and stores heat. 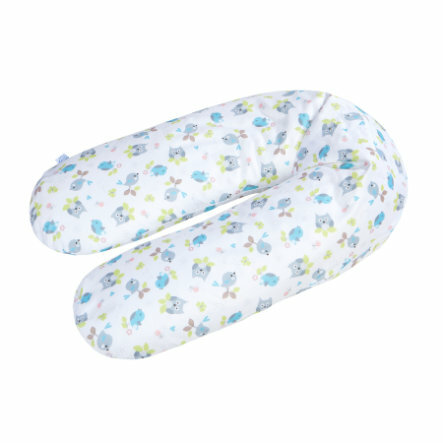 An ideal aid during pregnancy or as a nursing pillow or sitting aid during the first months after birth.